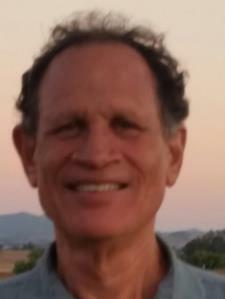 I have a Masters in Mathematics and am a former instructor at Sonoma State University. I like to keep things simple. Instead of presenting the student with a parade of ideas, I help the student to see each new topic as simply a new expression of ideas they already know. At the end, the student sees all of algebra as essentially an expression of these first few ideas. I find this approach makes learning much much easier, much much faster, much easier to retain. I've had four books published, one as author, two as editor (re-writing the majority of the text in each case) and the fourth as translator (from the original French) and editor. I have a Masters in Mathematics. I am a former mathematics instructor as Sonoma State University. I have taught high school algebra there and as well as tutoring it privately for many years. I have a Masters in Mathematics and am a former mathematics instructor at Sonoma State University. I have taught college algebra there as well as tutoring it privately for many years. Although I taught at university level, it has been my pleasure to continue to work with younger children, helping them with their mathematics and study skills, throughout my life. I've found that most problems older students have with more advanced mathematics can be traced back to an insufficient grounding in the most basic ideas. I enjoy helping students make sense out of what too often has become mysterious and mechanical. I have a master's in mathematics and am a former mathematics instructor at Sonoma State University. I was the coordinator of the Precalculus program at EPGY (Educational Program for Gifted Youth) at Stanford University for five years. I have a Masters in mathematics and am a former mathematics instructor at Sonoma State University. I have taught classes as well as tutored privately in all of the subjects from which the SAT math exam is drawn, including Algebra, Geometry and Trigonometry. When asked how the tutoring was going, my son, who is a junior, replied that Michael was the best math teacher he has ever had. He explains it in a very easy to understand way. Michael places emphasis on understanding, not mechanical results. Knowing the foundational material doesn't have to be boring it can be confidence building. He really wants his lessons to be a part of a good life long relationship to math - not just a quick fix to get you through your next test.